Seventeen enemy shelling attacks reported. Over the past day, the Russian-backed militants in Donbas 17 times breached the ceasefire. Ukrainian servicemen on 10 occasions returned fire. 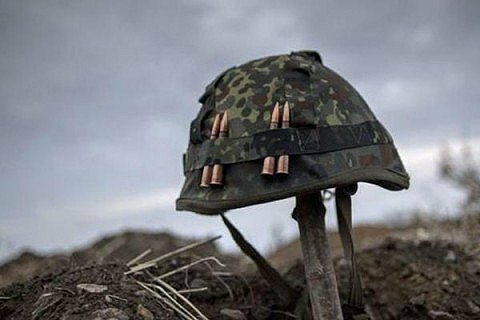 As a result of enemy shelling, one Ukrainian serviceman forces was killed, the ATO headquarters said in a report on Tuesday, 21 November. On Monday, the situation deteriorated in the coastal area in the Donetsk sector. At daytime, the enemy repeatedly fired mortars and infantry weapons at the defenders of Vodyane, Pavlopil, and Chermalyk. With the onset of twilight, the enemy fired 120-mm mortars at the defenders of Talakivka, releasing around 100 projectiles at the positions Ukrainian army at these four settlements. The approaches to Avdiyivka and Novotroyitske were shelled from 82-mm mortars and grenade launchers, ATO HQ reports. In the Luhansk sector, the pro-Russian illegal armed groups fired grenade launchers in vicinity of Novhorodske, IFV the weapons– near Luhanske, and heavy machine guns – nearby Novozavanivka and Novooleksandrivka. Over the past day, militants 26 times shelled the positions of the Armed Forces of Ukraine in Donbas. One Ukrainian military was wounded.